The symbol of the key with the red Windhorse placed on the handle is able to unlock your passion and potential toward the work. Windhorse, as a legendary creature, is considered to carry prayers from the earth to the heavenly gods by its magical strength and speed of the wind, thus signifying the transformation and elevation of power and mind in the reality. One can carry this feng shui Success Victory amulet to unlock his career and promotional luck. The Key for Success Victory Amulet itself is approx. 2.5" x 1". 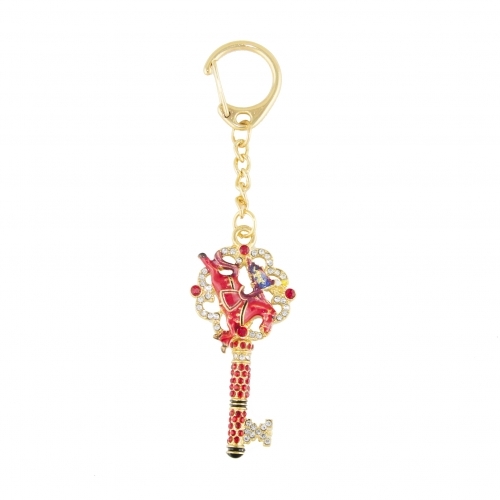 The overall length of the Feng Shui Key for Success & Victory Keychain is approx. 4.5". It is made of metal.